The past few weeks, I have been writing furiously on things unrelated to wine. 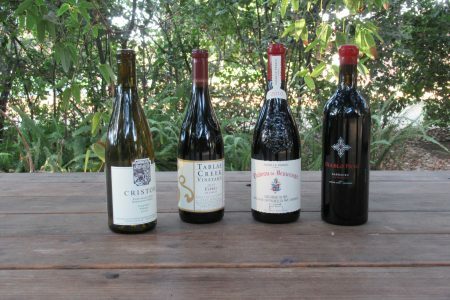 But in time for the holidays, when entertaining acquires the sophistication of an art form, I will share notes on some of the wines I’ve tasted. I enjoyed them all, but all is too much. So here are my faves. I tried a couple of Viogniers, a Rhône varietal. Goes with the theme I’ve been pursuing this fall. Viognier is relatively new to the American palate. Pair this wine with a spicy appetizer or main course or with cheese. Think Cowgirl Creamery’s spicy, creamy offerings. But it would go well with some of the hard Spanish cheeses or others. 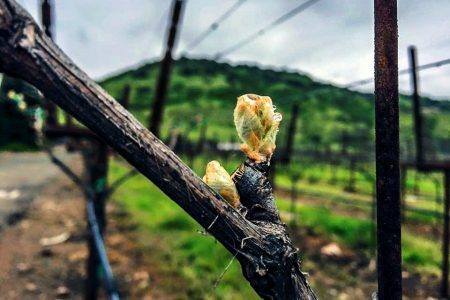 Tablas Creek’s Viognier 2017. My favorite from Paso Robles. Crisp, light, and wonderfully aromatic. Delicious. Also very good: 2015 Viognier from Christom Vineyards in Oregon. Viognier is one of the most aromatic whites, and this wine proves it. Nikolaihof Gruner Veltliner 2015 from the Wachau Valley in Austria. High acidity, tropical fruit aromas. Pour this if you plan to serve spicy foods, shrimp and oysters, and fish. If your preferences take you toward the more staid, try Tocai Friulano from VJB Cellars in Sonoma. The grape is a variety of sauvignon vert from the Friuli region of northeastern Italy. Its taste lies somewhere between a sauvignon blanc and pinot gris. High acid and grippy with a slight bitter aftertaste that reminded me of a vermentino. Tropical fruit, lychee. As I write about these wines, I realize that most of them are high in acidity that makes for a great pairing with many of the foods that have become popular in the past decade or so. This is a far cry from the late 1980s, when I had my first wine. I loved Riesling, but no one else did. Chardonnay was the varietal of choice, if a white was to be had. Then, as now, most of my friends preferred reds – heavy ones at that. Yet here I am barking on about whites that offer a remarkably pleasant way to start an evening of food and festivity. Old Telegram 2016 from Bonny Doon Vineyard in Davenport, Calif. This is 100 percent Mourvedre, a blending grape, the M in the GSM from Rhône. But every once in a while, when the fruit is exceptional, the winemaker creates a varietal. I was lucky enough to try it and was blown away. It is pink, but not a rosé, and can be aged for a good ten years. Great acidity, raspberry and black licorice aroma. Patelin de Tablas rosé 2017 from Tablas Creek is a lovely rosé. A blend of mostly Grenache Noir, and Mourvedre, Syrah, and Counoise, it has a Provençal aroma of melon and stone fruit. As you know, I’ve been focusing on Rhône wines. The adjectives writers employ to describe them – wild, untamed, deep, dark – invoke Mr. Heathcliff in Wuthering Heights and don’t translate into wine descriptors for me. It is a fact that I’m a newcomer to wine, even though I have sipped off and on starting in the 1980s. Maybe it is my lack of exposure and experience with the Old World, but I have a hard time appreciating Rhône from Rhône. Most recently, I tried the Cave Yves Cuilleron Cote Rotie “Madiniere” 2015, but it did nothing for me. So why include it in this list? Maybe to reveal my biases? But the Fort Ross Pinot Noir 2012 from Sonoma Coast was excellent. You could mark the beginning of an evening with a glass of this pinot. Coming as it does from the cool Sonoma Coast, it is not fruity or jammy like so many California wines. Smooth, mellow, and a joy to imbibe. The Rosso Family Blend 2016 from VJB Cellars is a blend of zinfandel, cabernet sauvignon and barbera grapes. Fruit forward, berry and blackcurrant aroma. A great vin de table or everyday wine. A heavier wine from the same winery that would pair well with your holiday meats is the 2016 Montepulciano. In Italy this grape is grown primarily in the Abruzzo region. Ready for a cool-climate Syrah, the predominant red wine in northern Rhône? I tried Bonny Doon’s 2011, with grapes sourced from Southern California. This is savory, earthy and peppery. Very high acid and tannins. A robust wine that many of my cab-loving friends might enjoy. Have a great holiday! 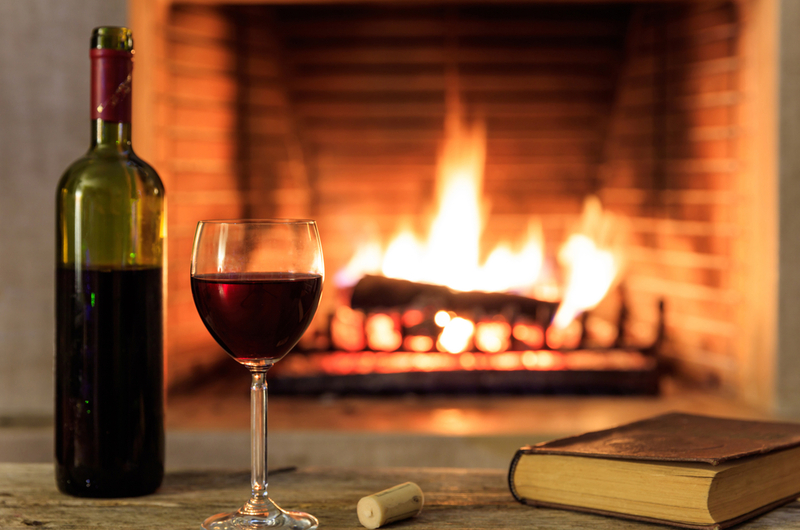 And send me the names of wines you enjoyed and would like to share with your fellow readers.